When people open shops, they don’t think about how to close them. Of course not. That’s like planning a break-up on the first date. But, knowing when, why, and how to shutter a store is just as important as the grand opening. We searched for a fresh start and then it came knocking. Literally next door. All the way back in 2005 when we first moved into our office on Rosewood Ave., Ben and I fantasized about opening our first store in the corner spot. But then, SLB moved in, and then the keys passed to RVCA. We didn’t mind establishing our retail presence in that Rosewood alley. Business, like life, is all about timing, and we weren’t ready for the main stage. But then, our landlord called and told us the space was ours to take. 501 N Fairfax. It was hard to let go of the past, but it was time to start writing the next chapter. 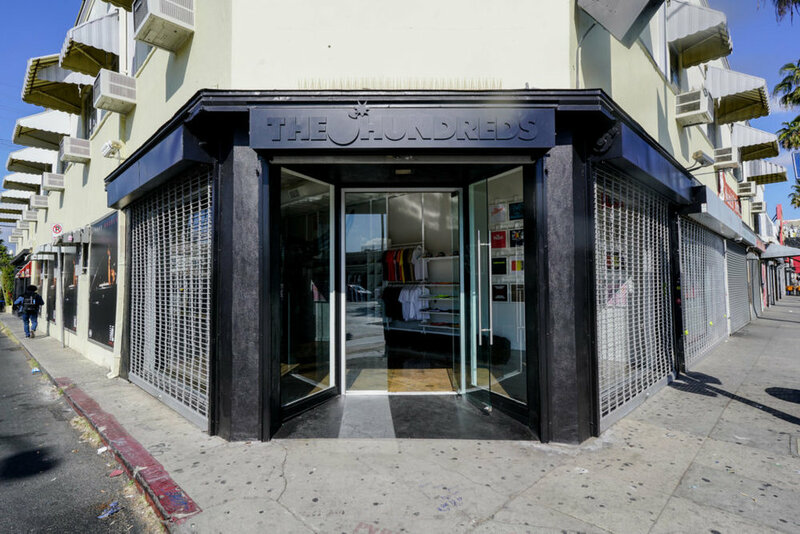 Today, we open The Hundreds Los Angeles in its rightful place on the corner of Fairfax and Rosewood. I invite you all to come be a part of The Hundreds history—and future.